The mission of Cornhusker Driving School is to ensure driving excellence while meeting the unique needs of all learners. After successfully completing this course, students will demonstrate competency in understanding the principles of safe driving such as defensive driving, traffic controls, pavement markings, right of way, lane changing, effects of alcohol and other drugs, distractions, licensing process, and so much more!! Students will learn to drive with proactive driving skills that help them recognize problems in the driving scene and make decisions regarding the practices of other drivers. This education will enable them with the skills necessary to function safely in a complex driving environment. Patrick Venditte Ed.D graduated from Peru State Teachers College with a Bachelor of Science Degree in Education. He received his Masters and Specialist Degree in Education at the University of Nebraska at Omaha, and his Specialist Degree in Gerontology and a Doctorate in Education at the University of Nebraska, Lincoln. Dr. Venditte has taught classroom, simulator, driving range and behind the wheel driving. Since 1966, he has instructed more than 6,000 students in driver safety training. He continues to teach Driver Education at several Omaha schools as well as his own private classes through Cornhusker Driving School. Tony graduated from the University of Nebraska at Omaha with a Bachelor's of Science Degree. He is a former Douglas County Deputy Sherriff and has been working at Cornhusker Driving School for over 20 years. He is licensed with the State of Nebraska Department of Motor Vehicles, and certified with the State of Nebraska Law Enforcement Training Center. Mr. Venditte teaches both classroom and behind the wheel driving instruction. 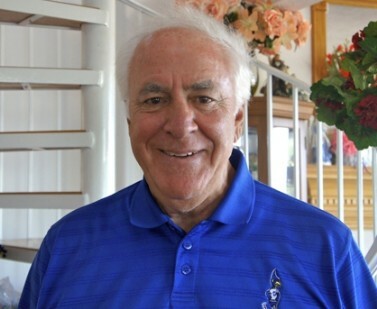 Mr. LaMon Marion received his Driver’s Education Endorsement through University of Nebraska Kearney and has been teaching Driver's Education since 2000. In addition to his Driver's Education Endorsement he is also is certified by the State of Nebraska to do senior citizen evaluation. Mr. Marion worked with Immunel Hospital in their Rehab Department for many years helping patients get back behind the wheel. He enjoys bowling in his spare time and has even scored a perfect game. Mr. Marion is a volunteer for Muddy Paw Second Chance Rescue. Mrs. Jennifer Otten received her Driver's Education certification from UNK. She has taught Driver's Education for over 20 years in Kansas and Nebraska both in the classroom and behind-the-wheel. She joined Cornhusker Driving School in 2018. Mrs. Otten is also an elementary music teacher for Elkhorn Public Schools. Ross graduated from Wayne State College with a Bachelor of Science degree in Criminal Justice. He currently works full time with the Douglas County Sheriffs Office. Certified with the State of Nebraska Department of Motor vehicles he teaches behind the wheel driving instruction. Jared Andersen is in his 15th year being Special Education teacher and coach in the Omaha Public School district (Omaha Bryan 2004-2013 & Omaha North 2013-present). Mr. Andersen is currently the Varsity Boys and Girls Tennis coach at North High. Mr. Andersen has 2 great kids (Vanna & Mack) to keep him busy with sports and activities. This is Mr. Andersen's first year being a behind the wheel instructor for Cornhusker Driving School. Anna graduated from Creighton University with a Bachelor's of Science in Journalism-Public Relations. She traveled for the USGA doing Marketing and Public Relations for their major golf tournaments. She returned to Omaha to take over the day to day operations of the driving school. In addition to her Driver Education certifications she is also certified in Child Passenger Safety (CPS). She has been working as a classroom and behind the wheel instructor for the past five years. Leo taught classroom, simulator, and in car instruction for Omaha Public Schools from 1976 to 1979. He has been an instructor with Cornhusker Driving School for over 10 years. 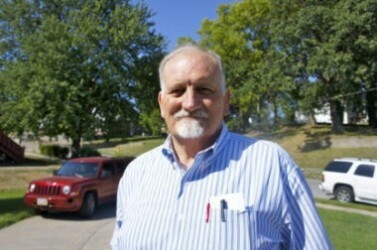 Harry Gaylor is a public school teacher at Omaha Central High School. He is the longest tenured teacher in the district. Harry is in charge of Central's Marketing and DECA programs. Mr. Gaylor recently celebrated his 50th year at Cential High School. He has been a behind the wheel instructor for over 10 years.